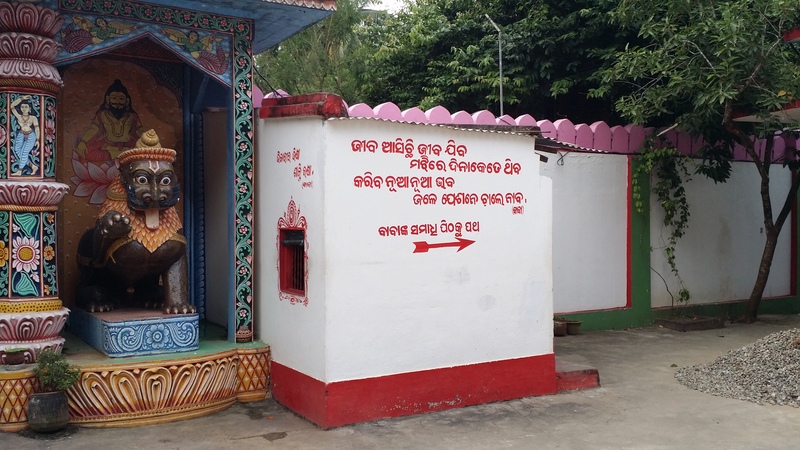 There are several temples in the premises of Gobardhana Pitha, just outside of the small Ashram, symbolizing the various forms of worship of ParamBrahma in Sanatana tradition. 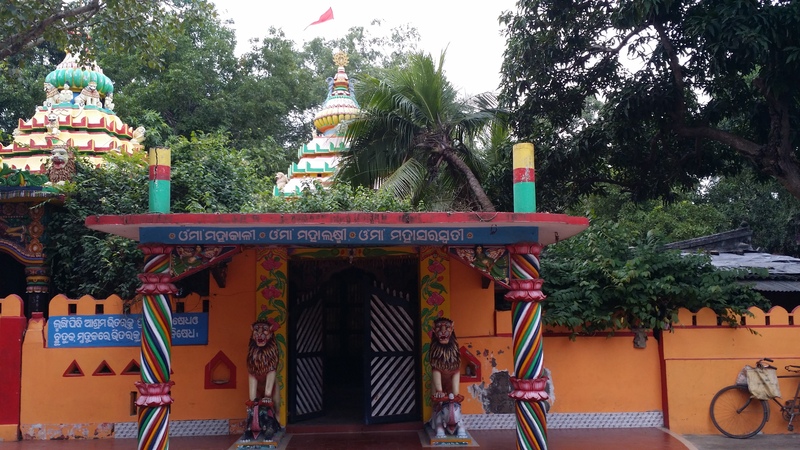 While the Garoi Temple is known for its Jagannath temple, a full list of all the temples include: (1) Jagannath, (2) Laxmi, (3) Narmadeswar Mahadev (Shiva), (3) TriShakti (MahaKali, MahaLaxmi, MahaSaraswati) and (4) Gundicha about 2km away for Rath Yatra. 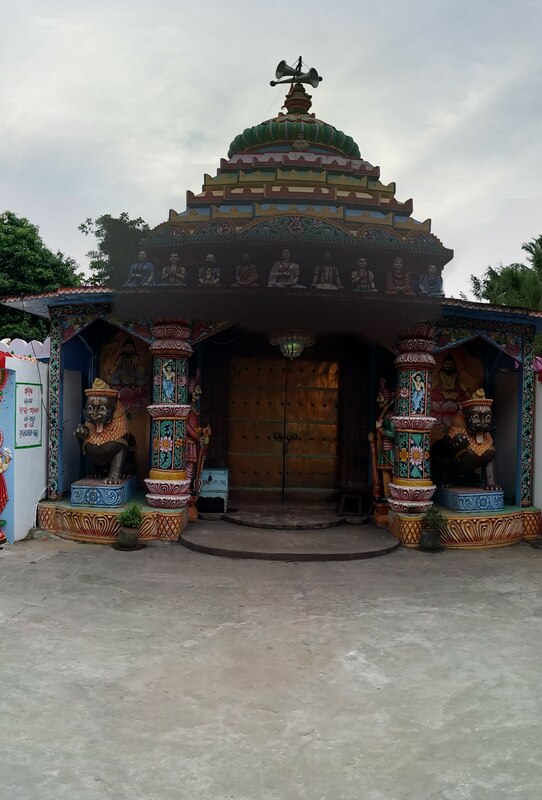 Throughout these temples, there are beautifully carved themes on the stones depicting the symbolism and vastness of Sanatana Dharma. 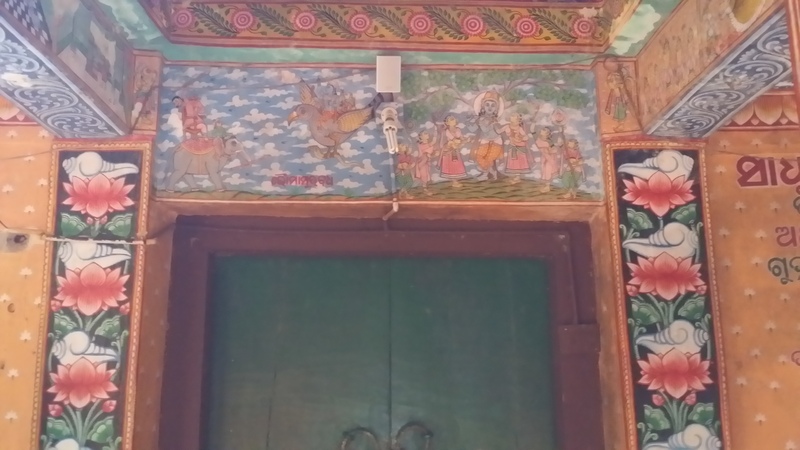 The practice of having various themes on the walls, either in the form of carvings or paintings, is common in most Indian temples, however, the type of art varies. 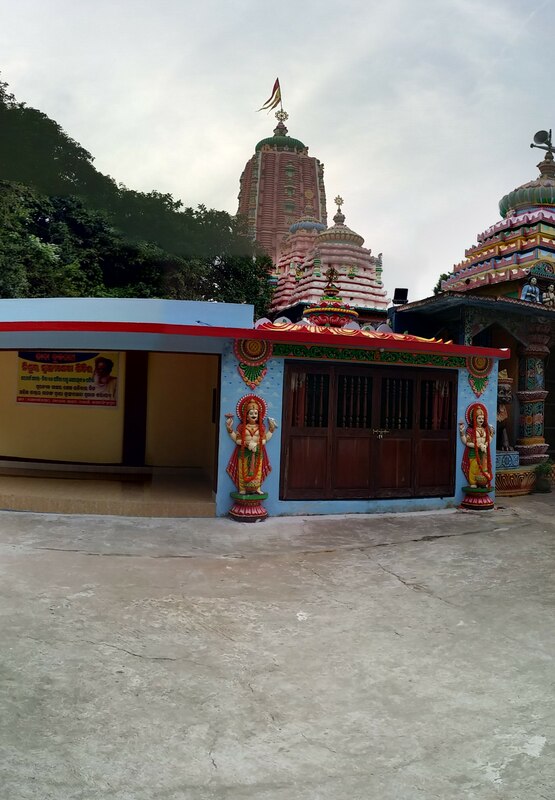 Below we will briefly describe some of the temples and note related information. 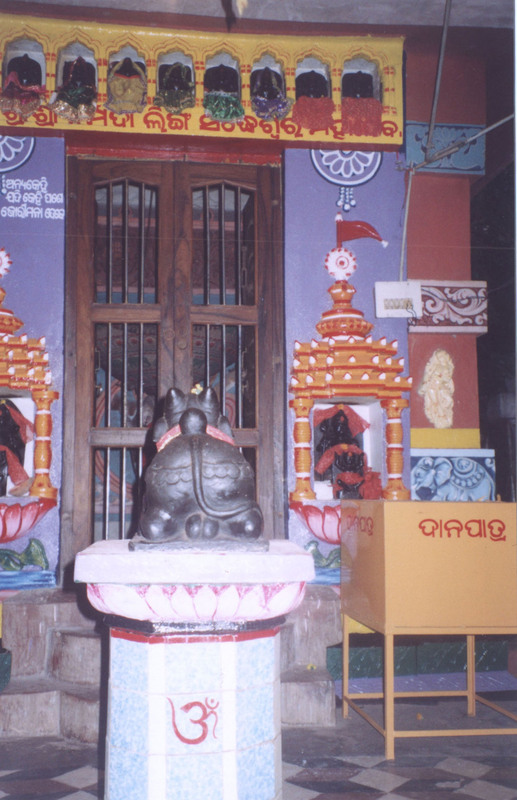 Shri Buddhanath Das, under the instruction of his Guru, initiated and got constructed the Jagannath temple at Garoi in the year 1993. Following the active instructions from Taamrapothi, the construction was completed in 1000 days. 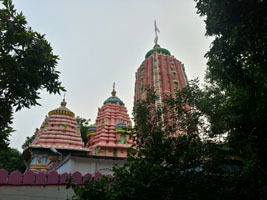 The temple is more than 100ft in height and is encircled by a reasonably sized temple-campus. The worshipped deities are Lord Jagannath, Lord Balabhadra and Goddess Subhadra, along with the Astra (weapon) of Narayan known as Sudarshana Chakra. 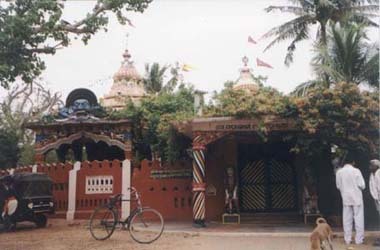 The place Garoi is considered by the devotees as second "Shri-khsetra" and the "fifth dhaama". River Gobari has been identified as Gupta Ganga because of its Uttarayan Gati, as described by Mahapurusha. 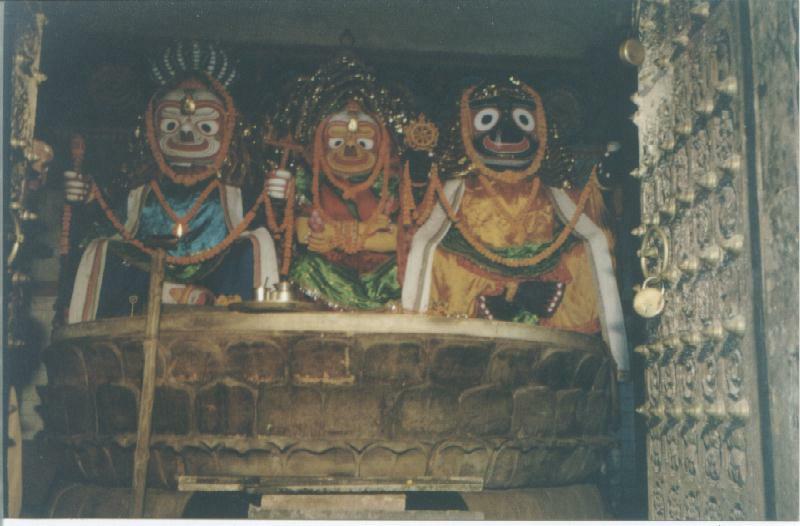 The Lord-Jagannath culture is probably the only culture and tradition, where Brothers and Sister are worshipped together,i.e., Lord Jagannath, Lord Balabhadra (elder brother), and Maa Subhdra (the youngest of the three and their sister). The supreme Lord (Param Brahma) is not limited to any manmade form in this world, which includes any deity, wooden form, idol or other symbols and is essentially Arupa (formless). However, the supreme Lord is also not limited to being formless only. Depending on the Bhāva of the devotees, the Arupa Brahma (formless) aspect manifests in Rupa (some form) and The Brahma can manifest in uncountable number of forms at a speed faster than the light and brighter than the ligthning. The Arupa (formless) is comparable to Nirguna (without any attribute) and Rupa (with form) is comparable to Saguna (with attributes). The Nirguna and Saguna are not separate and are intertwined, interrelated, and One. There is no God in temple but there is no place where God is not there. Make no mistake in getting into the confusion for the knowledgeable should not get into the debate of accepting or dismissing these manifestations, because what is important is the Bhāva (feelings and intention). Eka je na thile kanā dui gale andha, enukari Nirguna Saguna sehi bheda. When one-eyed it looses partial vision, when both eyes are lost, it turns blind; thus, Nirguna and Saguna are interrelated. The same Lord plays from within the fifty-six crore species of creatures. For the worldly sport, relentlessly its spread everywhere. Foursome form but One Spirit, varying in four forms. 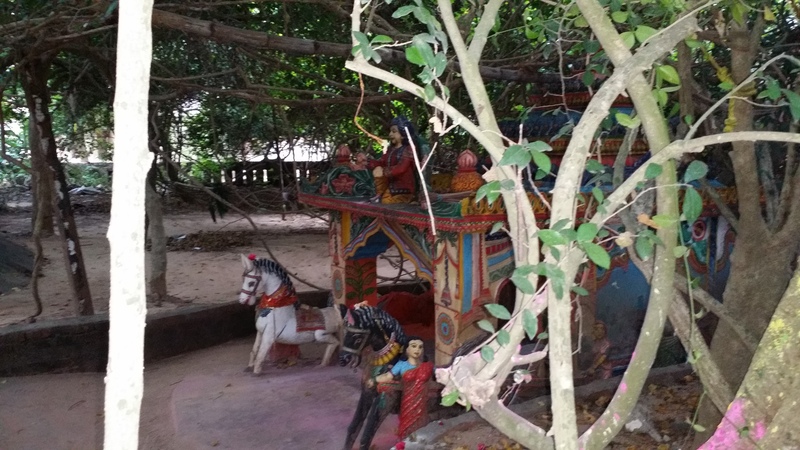 The five souls spread in five elements, and also in Neelanchal wooden form. 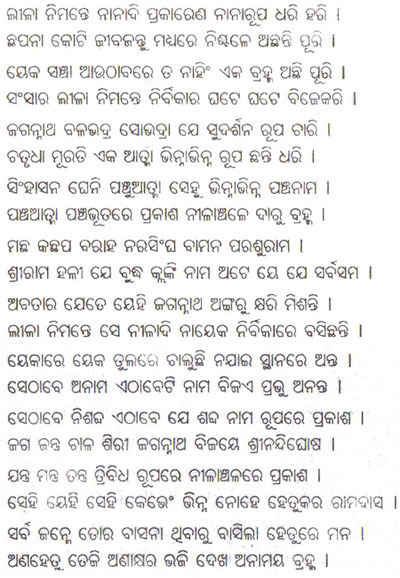 SriRam, Balram, Bauddha (Jagannath), Kalk are the names, all are the same. For the sport only, the Neeladri-hero insentiently seats here. Somewhere it is nameless and somewhere got a name. He only moves the world, Nandighosh is his chariot. That and This are no different, ingrain this knowledge deeply Oo Ram Das. 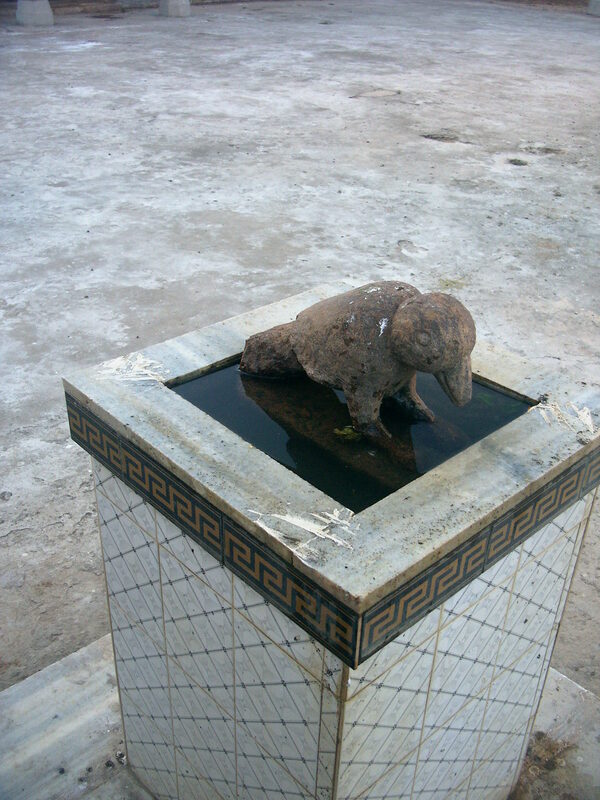 Leave the un-desirable, contemplate on Anakhyara and see the Anamaya. 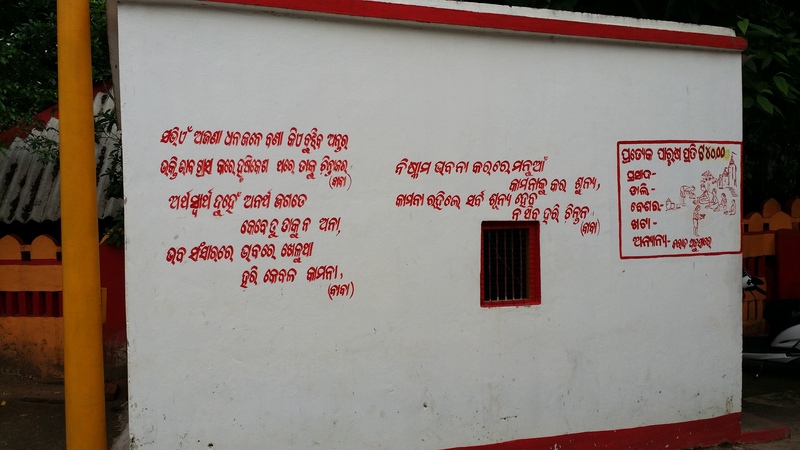 Below are some of the newer photos around the premises of Temples of Garoi Ashram. 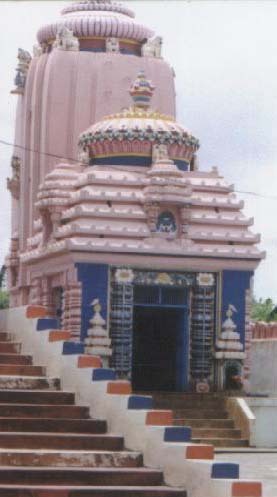 Analogous to the design of the main Jagannath Temple at Puri, the temple at Garoi has also four entrances (chaari dwara). 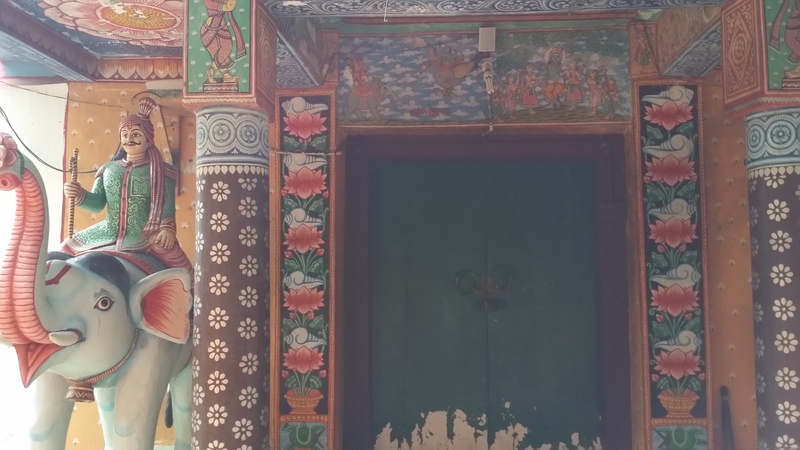 These four entrances represent, in a metaphorical way, to the four Vedas and different occupations. They also have their respective Dwara Devata (doorkeeper Gods), Vahana of Devatas (vehicles) and Astra (weapons). The worship of Maa Mahalaxmi (the consort of Lord Jagannath or Lord Vishnu) holds an important part in the Jagannath tradition. 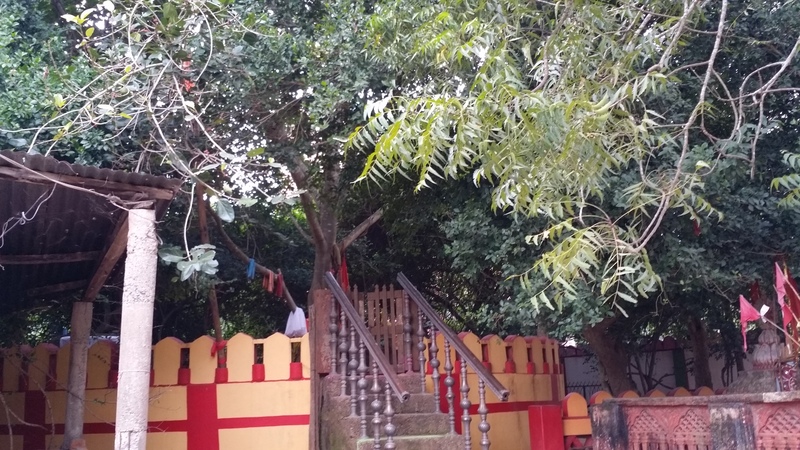 In the temple premises; there is also a temple of Maa Mahalaxmi (image shown elsewhere above in this page). 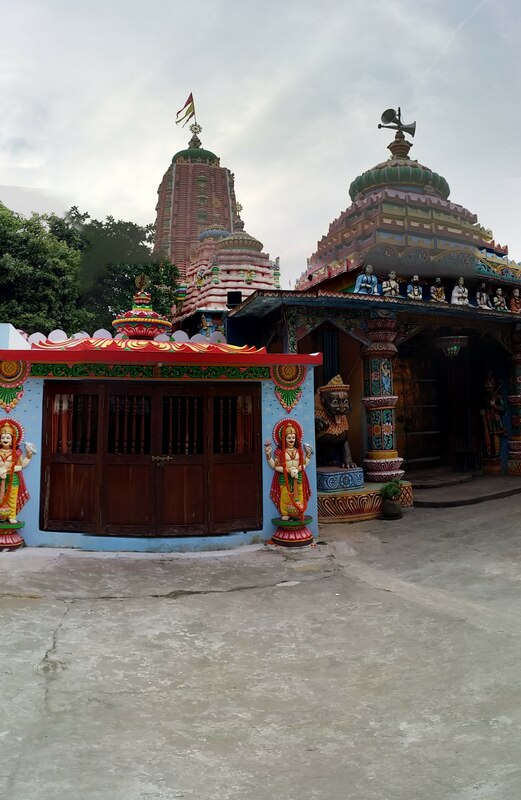 Along with the temple of Lord Jagannath and Maa Laxmi, also exist a temple of Lord Mahadev (Lord Shiva) and Tri Shakti (images below). 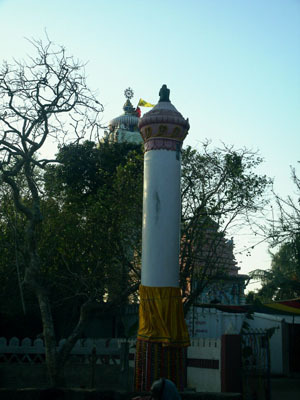 The worshipped form of Shiva here is a Narmadeswar Shivling. The temple is called as Siddheswar Mahadev Mandira'. 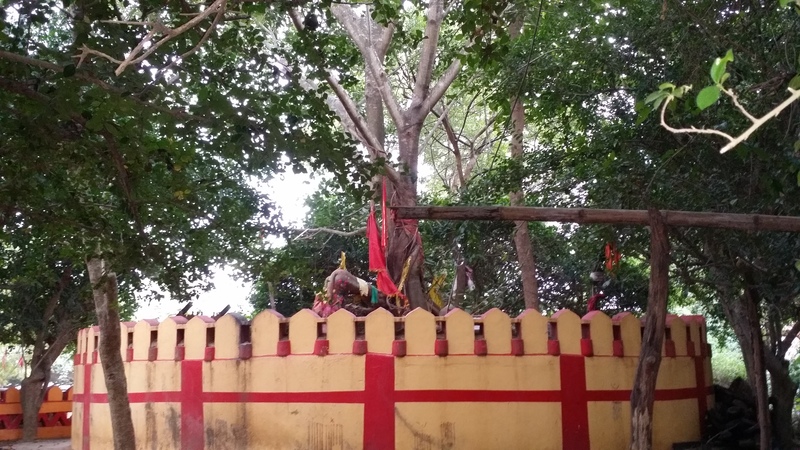 Worship of 'Shiva and Shakti' forms an important and integral part of the Sanaatan tradition. Tri-Shakti means 'the three powers' that refer to three Goddesses: Maha Kali, Maha Laxmi, and Maha Saraswati. Combinedly, the form is also sometimes referred to as Dakhsina Kali. Lord Shiva without Mother Shakti is Shava (corpse), hence, Lord Shiva is mostly accompanied with the Mother. The three powers also represent the cosmic energy of the three forms of the supreme God. They indeed are the female aspects of the Holy Trinity (Brahma, Visnu, Mahesh). The Almighty has manifested himself in various forms, the Trinity, the TriShakti, and other forms. The truth not to be forgotten, however, is 'Eka Brahma, Dutiya Naashti': There is 'Only One God' and not many. 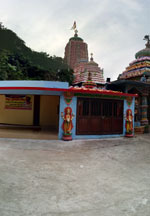 The argumentatives and contrarians waste time in trying to define God either in 'A Form' or 'The Formless'; the Gyaani (Knowledgeble) know that its the same supreme Lord (Brahma) that plays in uncountable number of forms and manifests forms depending on the Bhaava (feelings) of the devotee when the devotee matures and is prepared to meet the Maker. The form of The Almighty known as Shiva has an attribute of quick-compassion and is known as Bholenath, Bhutnath, Lokanath, Pashupatinath, Hara, Maheswar, Mahadev ... And Abhishekam is very dear to this form of The Lord. Abhishekam of Rudra (Shiva) is know as Rudrabhishekam, which is performed with Chanting and Mantras from Yajur Veda while continuosly pouring libation of various substances. The most common libation offerings are water and milk along with leaves of Stone Apple (Bel or Bilva). When nothing else works, if anything may help, it is Rudrabhishekam and Mahamrityunjaya (Mrityisanjeevani) prayog with devotion and sacrifice. The significance and importance of Rudrabhishek is fairly well-known and need not be documented here. There is a lot of information in printed and online materials about this ritual. However, what we realize is that sometimes it is not very easy for seekers to find a place where to perform this ritual with confidence, especially with growing urbanization. If you are fortunate to have Shive Temples near you where this can be performed, then its good. However, if anyone needs to perform this and cannot find a place elsewhere easily, then feel free to contact us to arrange Rudrabhishekam for you at Garoi. 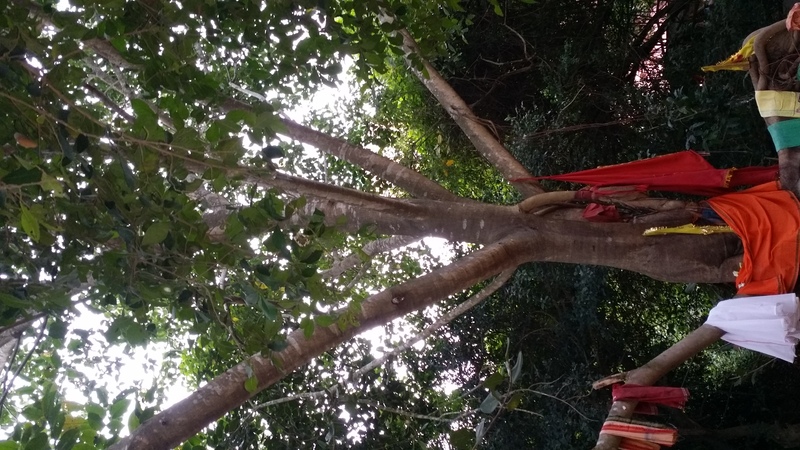 As we are a non-commercial and not-for-profit establishment, we do not intend to make financial gains with this, but you will be required to pre-pay for all the expenses associated with this which includes material cost, renumeration to the Brahmin Priest who will perform the ritual at our Temple and an associate who will help the priest throughout. A few photographs from outside will be sent to you (prohibited in inner sanctum). We do not have the resources to perform this free-of-charge as our establishment is neither big nor rich. So, please keep this in your mind if you wish to perform Rudrabhishek at our facilities. For inquires about Rudrabhishek possibilities, please write us an email at: info@garoiashram.org or call at: (0)70777-71717. 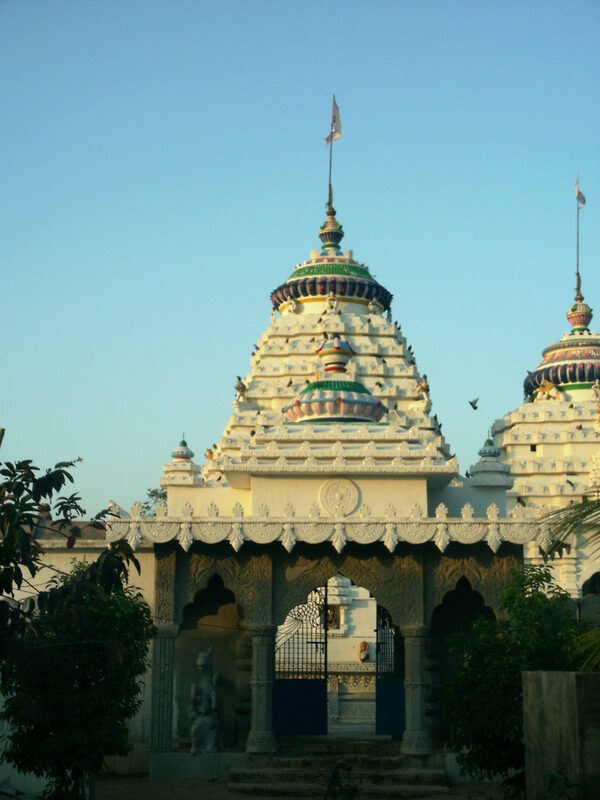 The Car-festival (Rath yatra) is one of the most important festivals associated with the Jagannath culture. 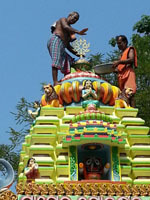 In Shri-Khsetra (Puri) this is celebrated each year and the festival is known in many corners of the world. 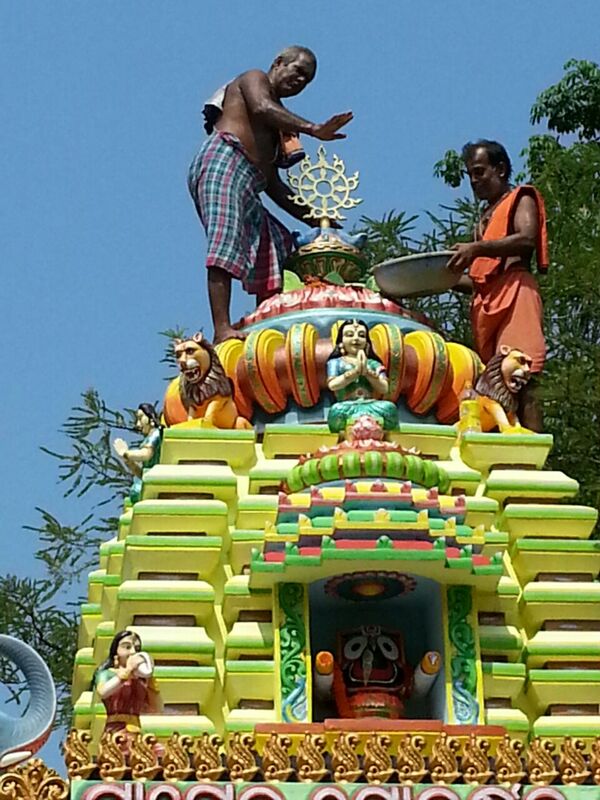 The Lords come out of the temple and are carried in Chariots to Gundichha temple. This is the form of 'Patitapaabana' (who saves the down-trodden) who gives Darshan (allows to see) to all, irrespective of anything, during these nine days. 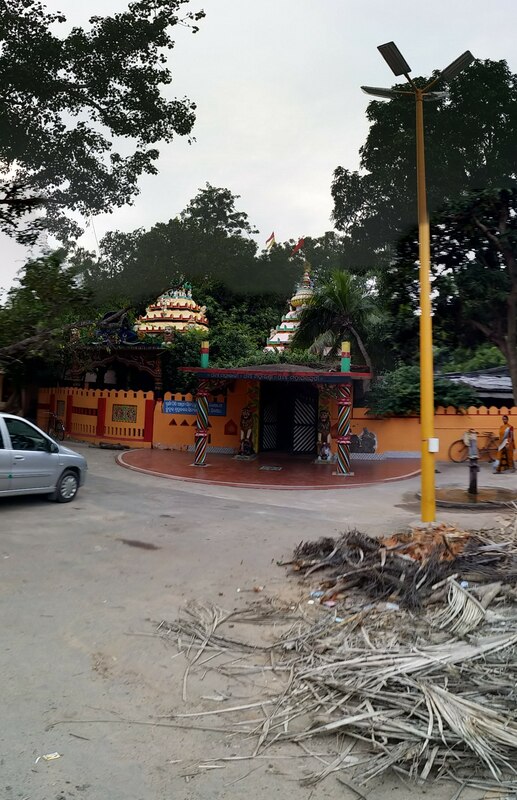 The Gundichha temple is a outing place for the Lords and is symbolic that every one requires a change in life (travel), at least once a year. 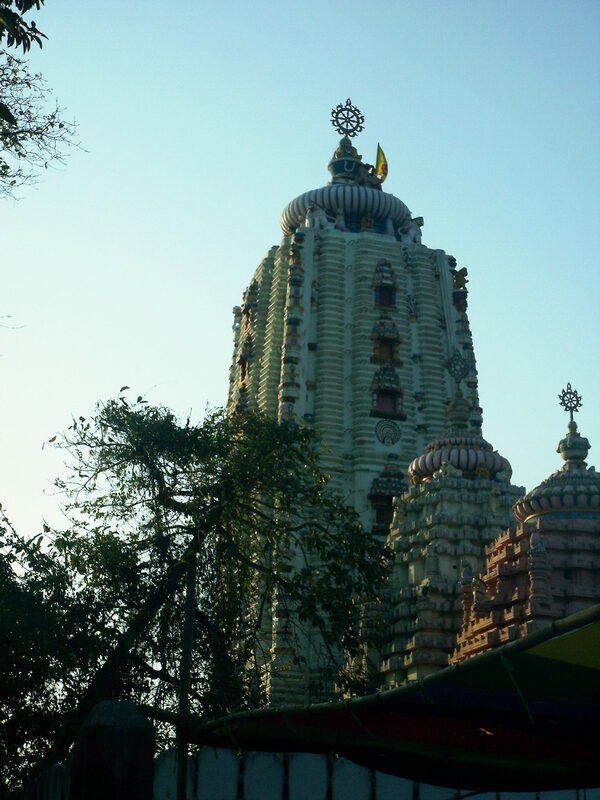 At Garoi also, since few years, the Gundichha temple has been constructed approximately 2 kilometers away from the main Jagannath temple. The car-festival is celebrated by the devotees without too much pump and glow in a somewhat simple way, following all the rituals. 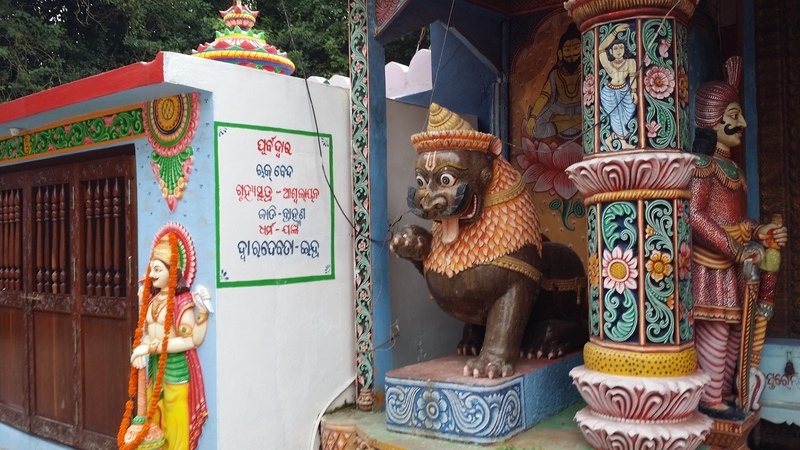 However, The small village Garoi, with only a handful families becomes vibrant and crowded on such occasions and is a worthy view for thr admires of Shri Jagannath culture. 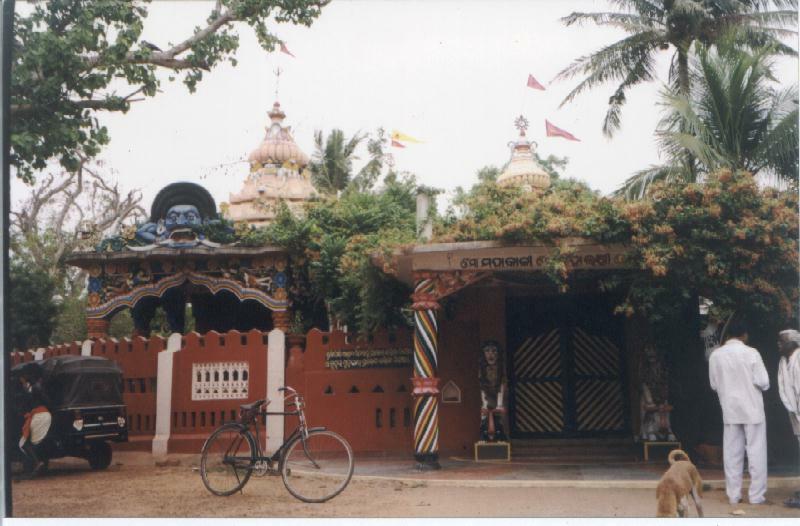 An image of the Gundichaa temple is shown at the top of this page. 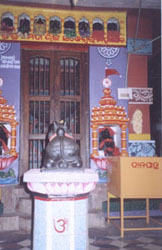 A recorded version of the Rath Yatra in 2005, while Baba was still in his human form, can be viewed below (left panel). 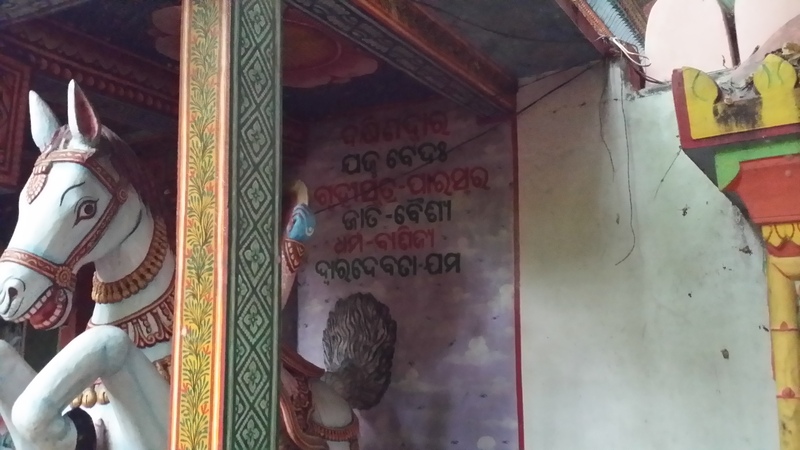 Also, another video (right panel) shows Baba singing a Bhajan during the innagural of the Gundichha Temple. 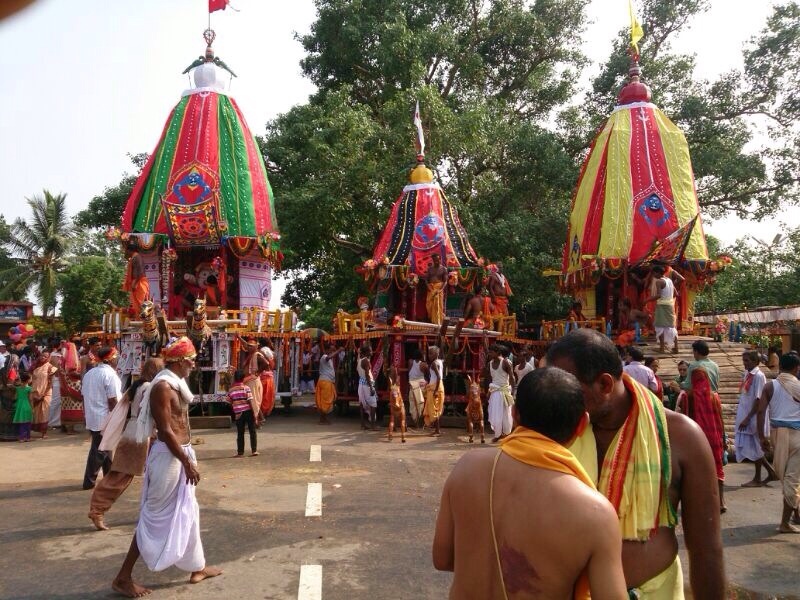 Below, we provide some snapshots of the festive atmosphere, during Rath Yatra at Garoi. The pictures are from the year 2005 (when it first started) and from the year 2014. 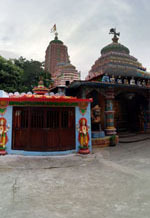 Garoi is appropriately termed as the second Shri-Khsetra as it is constructed as a transit house (analogy) of Lord Jagannath. 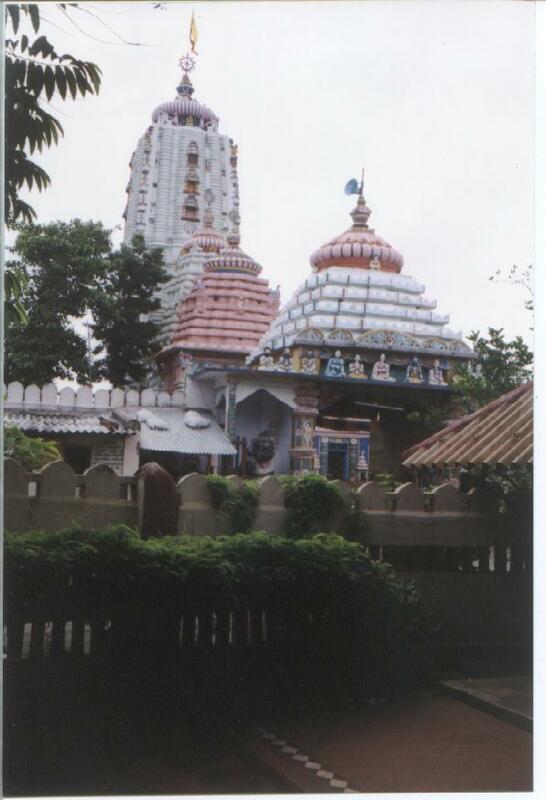 All the houses and constructions have a limited life, The Jagannath temple’s (the temple at the first or primary Shri-Khsetra) life will be exhausted and again after limited time will be re-constructed. Garoi may serve as the transit-house in this period of transition. The transition also includes transition of Kali Yuga to Satya Yuga. The temple has been built for the Satya Yuga. Satya, which is stepping in slowly, will have its foot established on about 22nd June 2017. There is no overnight change anticipated in this secret Yuga Karma (duty and work of the era). 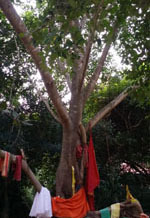 Mahapurusha Shri Shri Achyutananda Goswami has hinted in his Bhabisya Malikā (an oracle about the events of the future), that this Yuga Karma game will be played in secrecy (Shunya Khela or The Game of Shunya) with a Sandhi Kāla (i.e., with a transition period) of about 12 years. Many will remain ignorant of the game, some will have some hints but cannot dig and understand further, some devotees will be able to witness the happenings with a conscious and will secretly wait for the re-establishment of the truth. His holiness Baba Shri Buddhanath Das, had prayed in his last birth that his Guru shall remain always with him. Accordingly Lord Jagannath had blessed him and had said that he (Baba) will establish a temple (the said temple of Lord Jagannath) towards the end of Kaliyuga at Garoi. 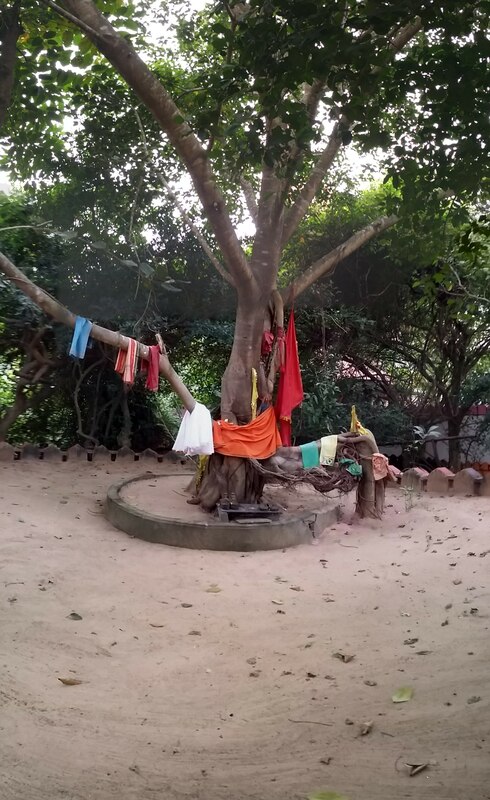 To here the Kalki Avatār will be related and Kayibalya (Mahāprasad) will be prepared and all categories of Seers will be present in this place (in physical or ethereal form) during the crucial Yugakarma. 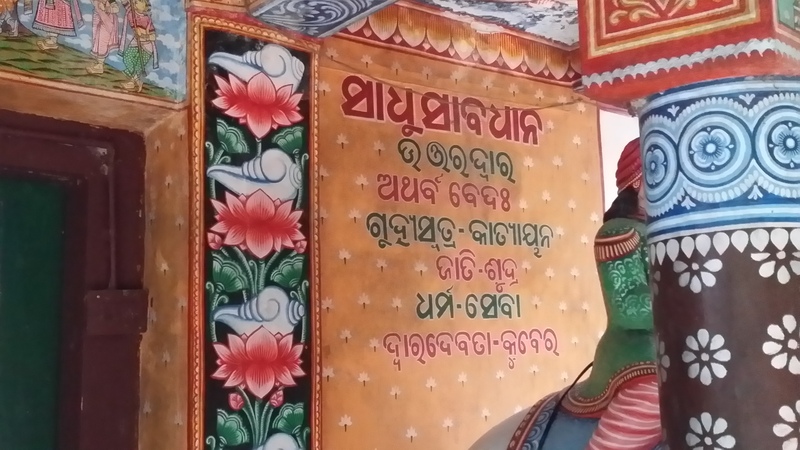 It is informative to state that, a large mass (in ancient Orissa - Udra desha) believe that Mahapurusha Shri Achyutanada had descended from Lord Jagannath. 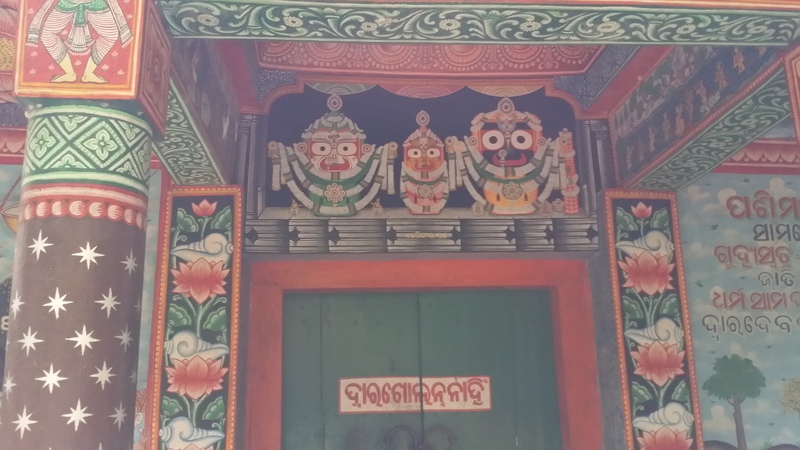 He is regarded as someone who has spiritually emerged with Lord Jagannath and has attained Godhood, and at the same time he also has his own identity. Hence, he is called Mahapurusha (great man).